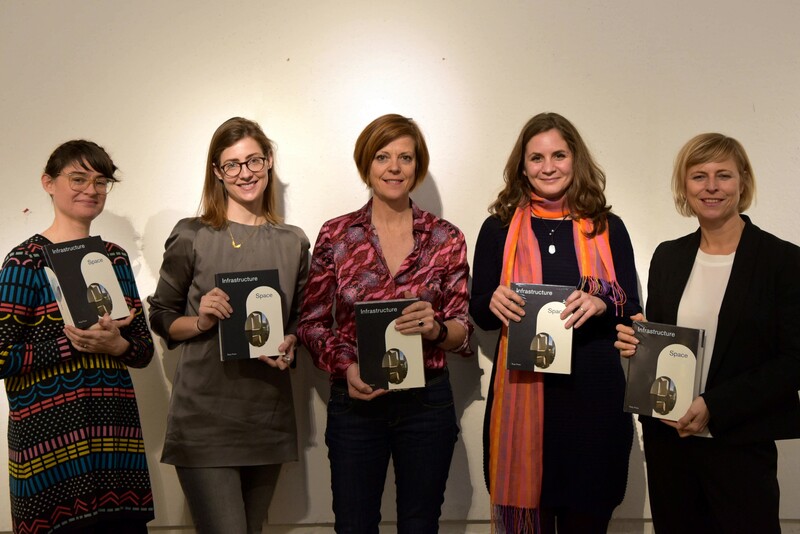 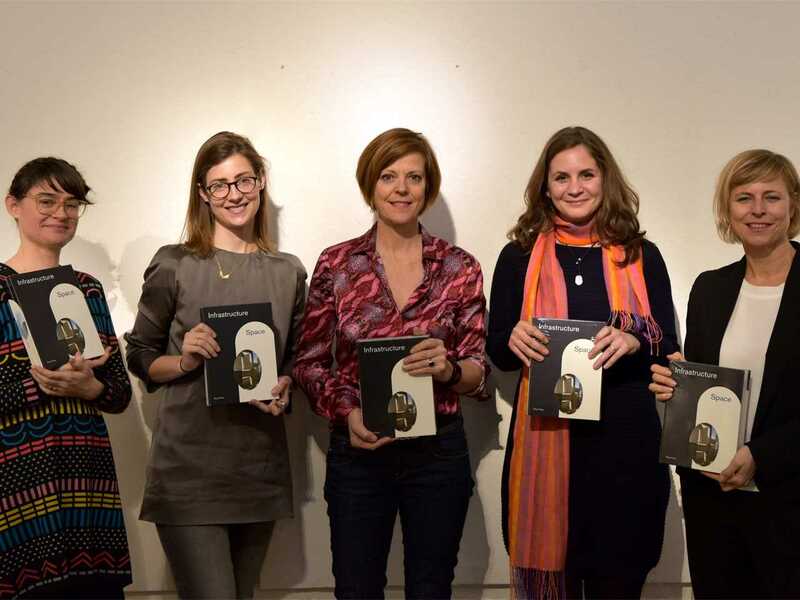 Launch of Infrastructure Space in Berlin (l-r): Charlotte Malterre-Barthes, Sarah Nichols, Nancy Couling, Dulya Bouchi and Ilka Ruby. 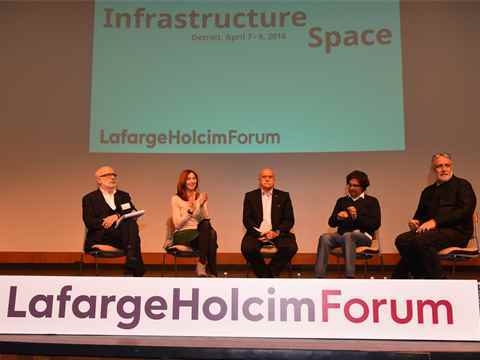 “Infrastructure Space” was inspired by the 5th LafargeHolcim Forum – a symposium that examined how to deliver long-term infrastructure that is aligned with sustaining human habitat. 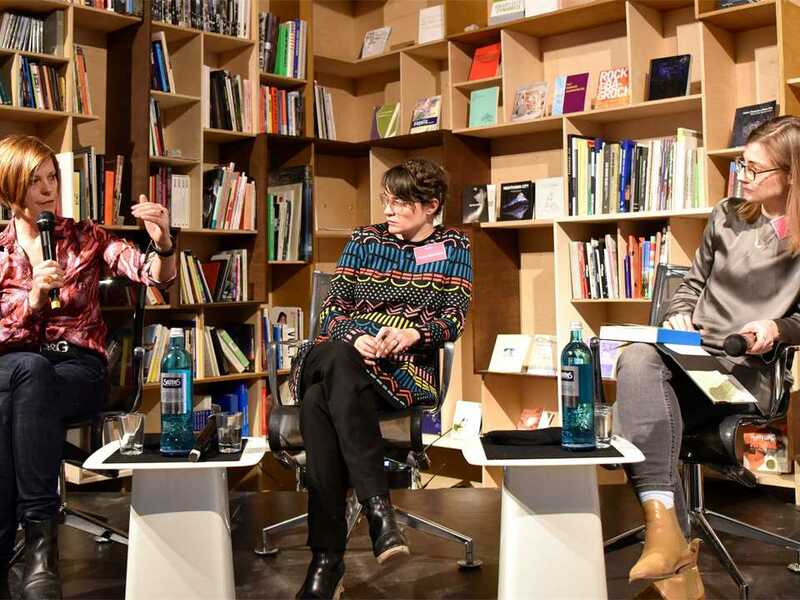 Debating the role of architects in researching and designing infrastructure (l-r): presenters Nancy Couling and Charlotte Malterre-Barthes with moderator Sarah Nichols. 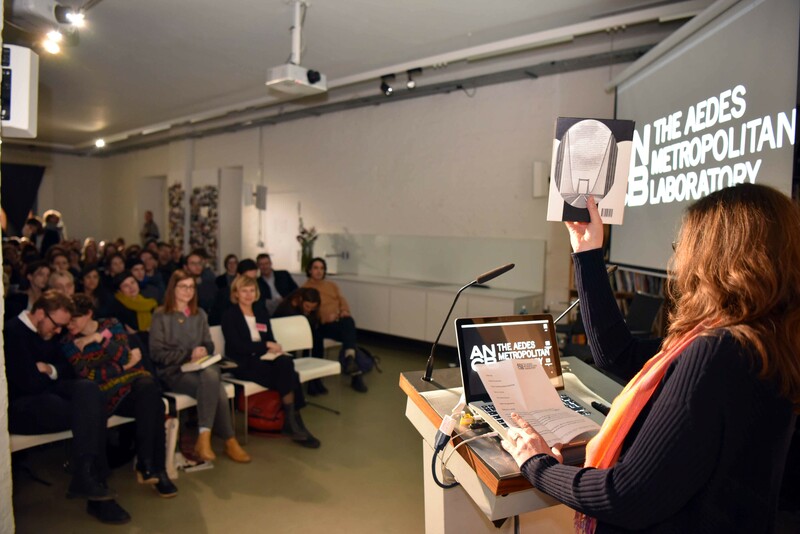 PhD graduate Nancy Couling opened a largely unknown field of infrastructure to the audience: The Urbanization of the Ocean is hard to perceive and takes place outside of the urban discourse. 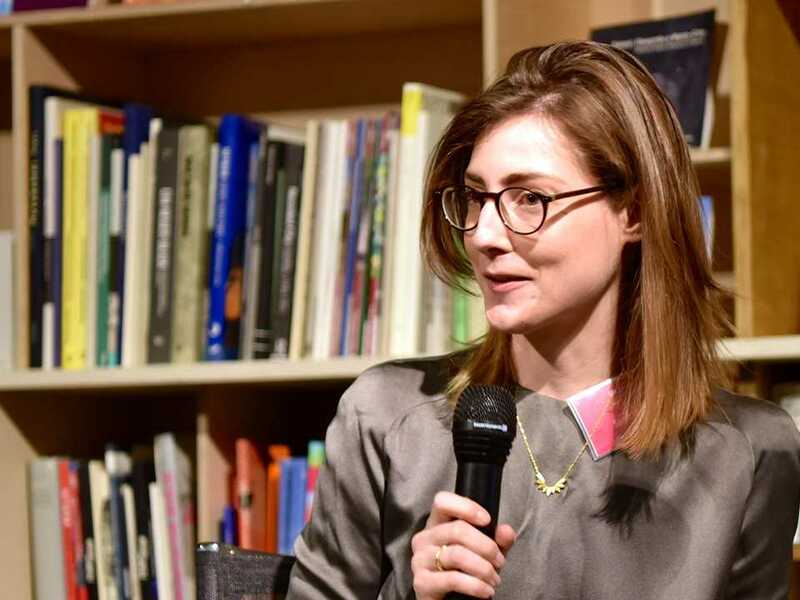 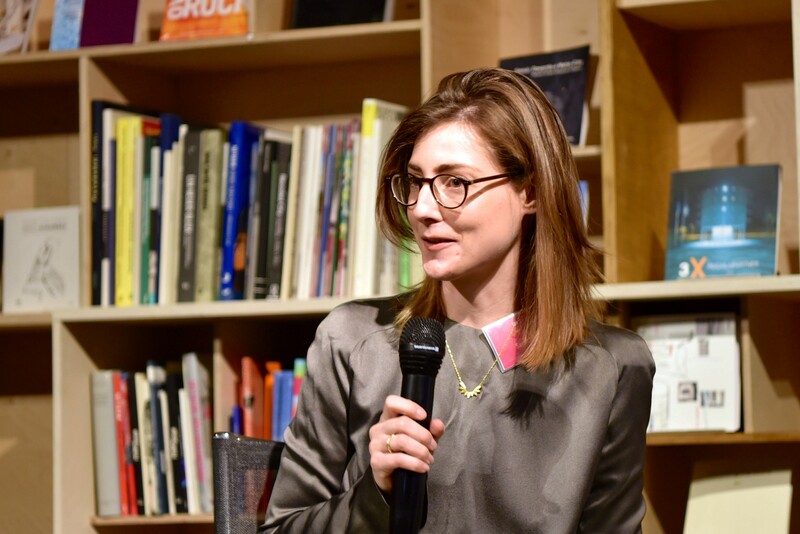 Doctoral Fellow Sarah Nichols led the discussion amongst the architects, talking about their responsibility related to designing infrastructure and the role of architecture as a research tool. 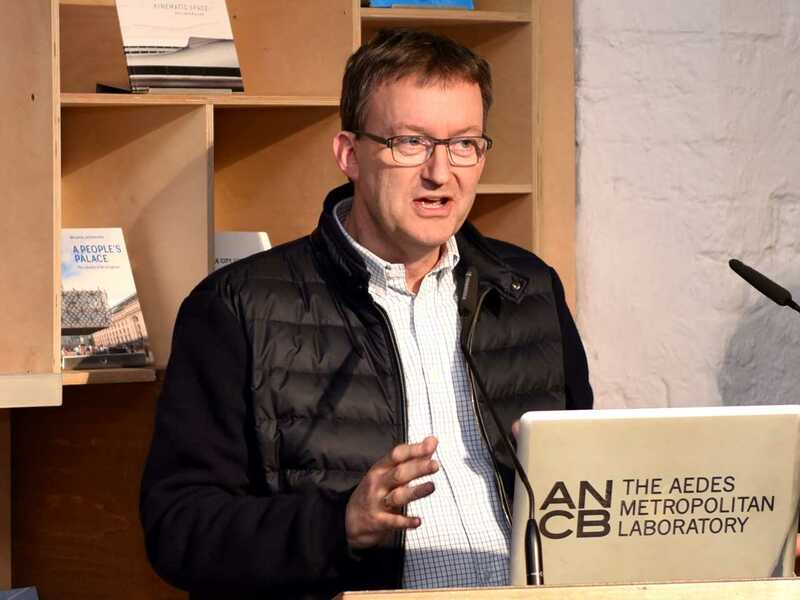 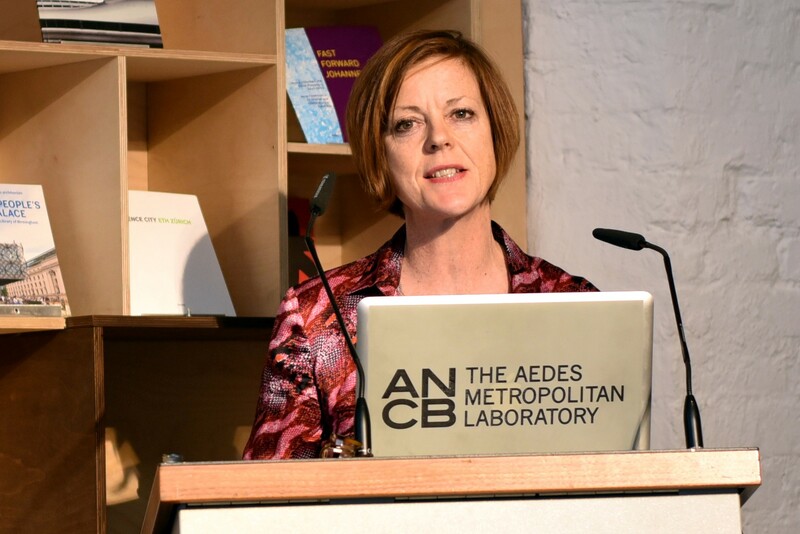 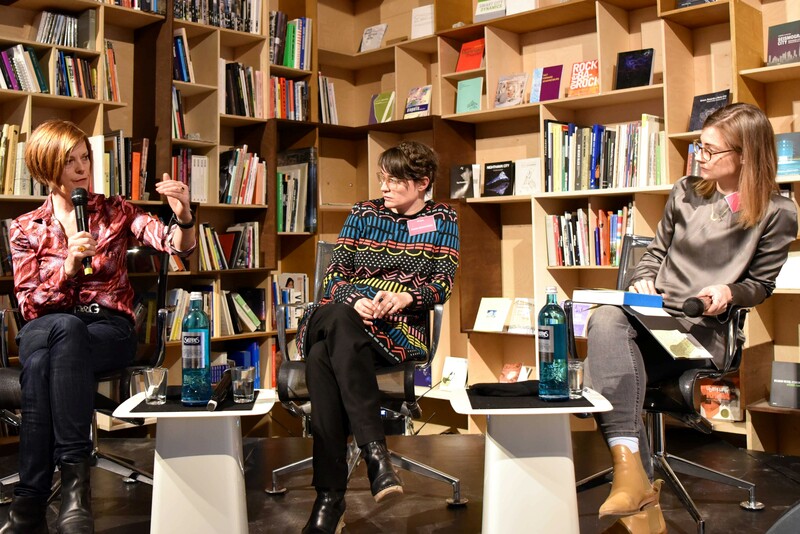 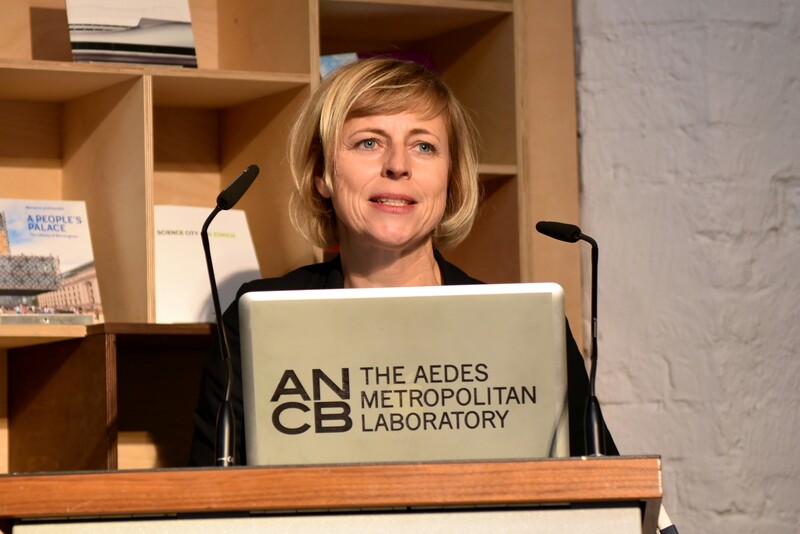 Lively interest in obtaining a personal copy of Infrastructure Space followed the book launch at The Aedes Metropolitan Laboratory (ANCB) in Berlin. 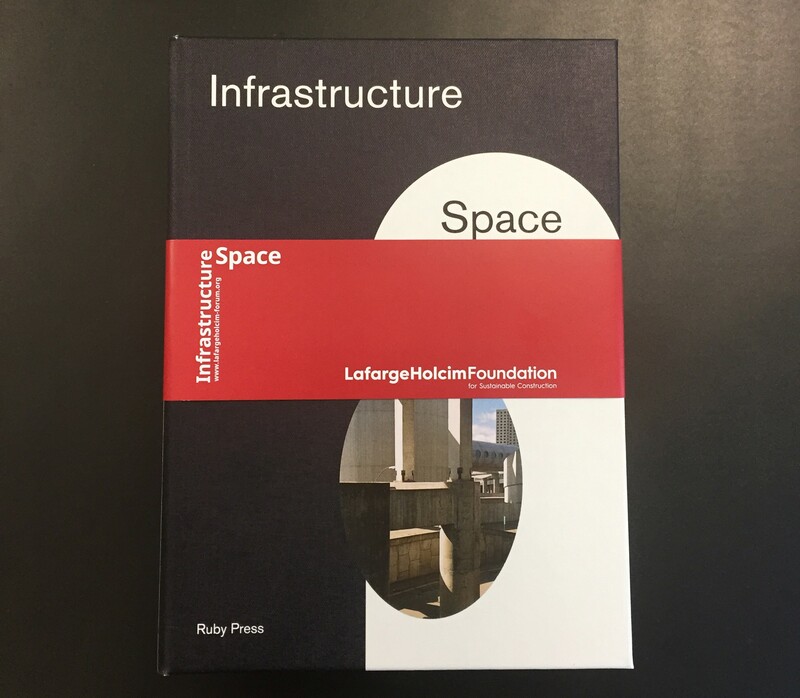 The debate with lively audience participation underlined what Infrastructure Space expresses – infrastructure is not just about the technical realm, but also engages in terms of political, economic, social, and aesthetic matter. 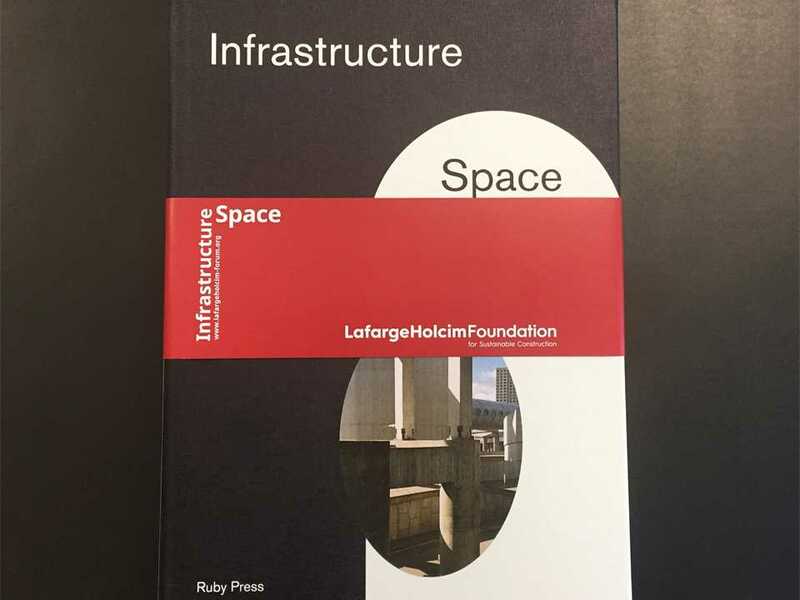 Infrastructure Space is based upon the 5th International LafargeHolcim Forum for Sustainable Construction: Edward Schwarz, General Manager of the LafargeHolcim Foundation thanked all involved in contributing, producing and editing this publication for taking the debate on infrastructure a step further. 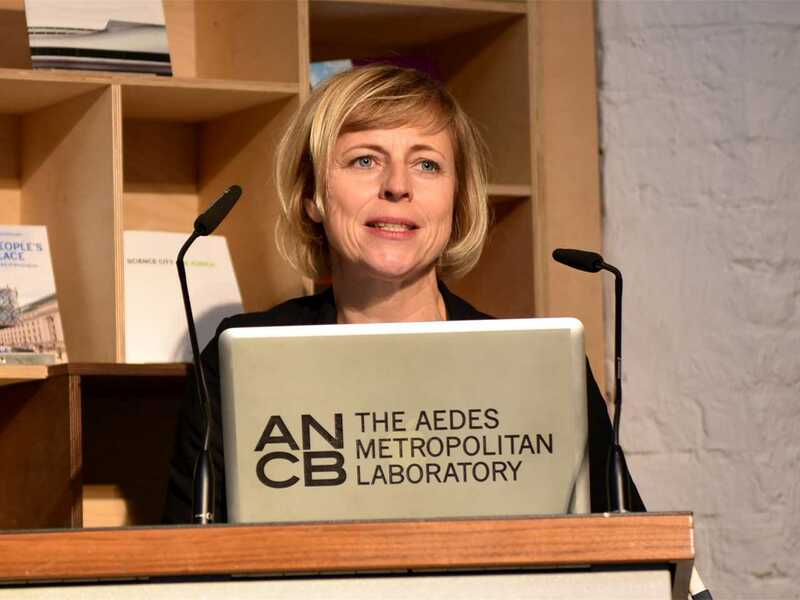 All-female line-up at The Aedes Metropolitan Laboratory (ANCB) in Berlin: Introduced by Dunya Bouchi, Managing Director of ANCB, and Ilka Ruby, Partner at Ruby Press, the architects Nancy Couling, Charlotte Malterre-Barthes and Sarah Nichols presented case studies and discussed the role of architects in researching and designing infrastructure to mark the launch of Infrastructure Space. 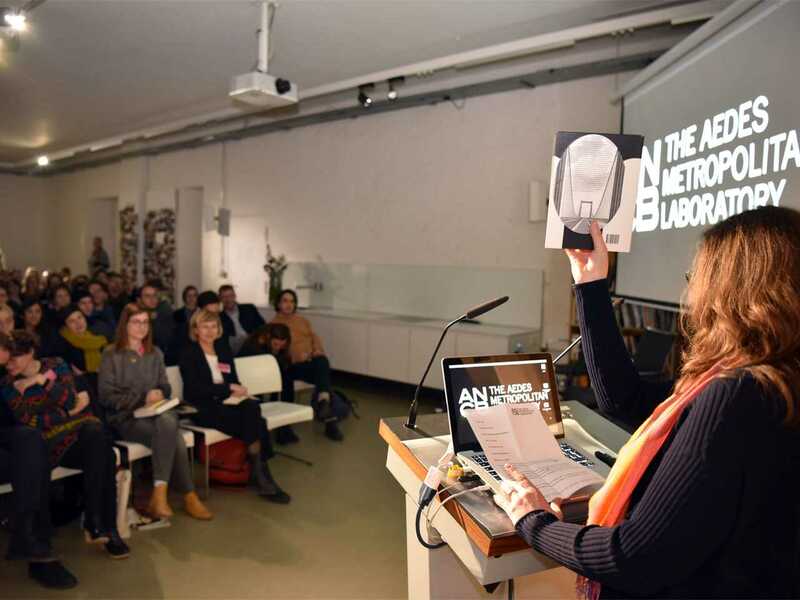 The 420-page book edited by Ilka & Andreas Ruby contains a collection of 25 essays inspired by the 5th International LafargeHolcim Forum for Sustainable Construction as well as a visual atlas compiled by Something Fantastic. Charlotte Malterre-Barthes presented her Doctoral research on food and territories: Biopolitics on the Nile: The Toshka Project that explains how a 310-kilometer-long water channel was constructed in Egypt to convert desert into agricultural land. 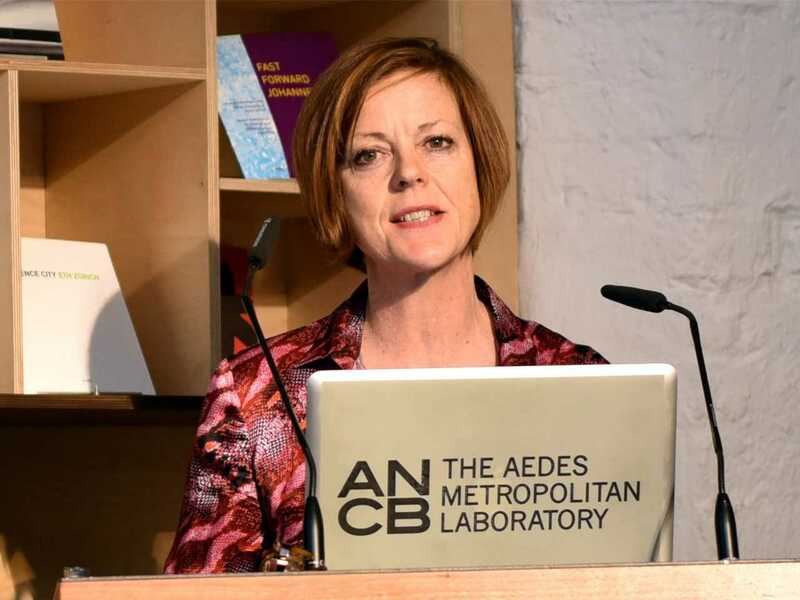 She showed in the summary of her contribution to Infrastructure Space how managing water supply could facilitate the control of population and territory. 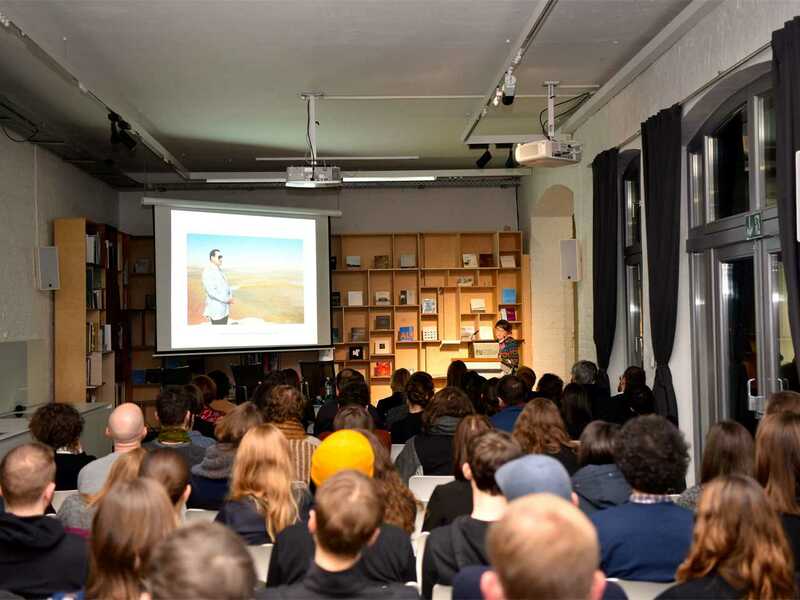 PhD graduate Nancy Couling opened a largely unknown field of infrastructure to the audience: The Urbanization of the Ocean is hard to perceive and takes place outside of the urban discourse. 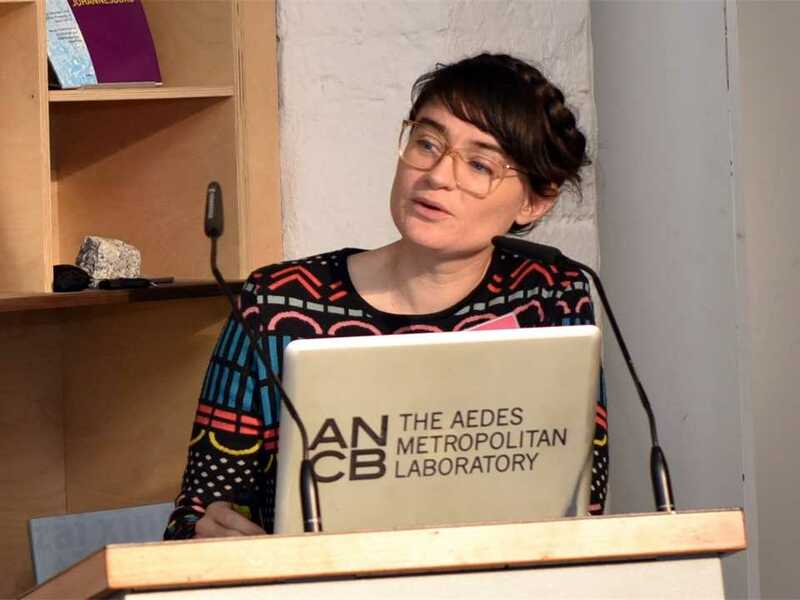 Taking the Barents Sea as an example she considered how primary geometric urbanization devices colonize ocean space also in contrast to the spatial logical and biological scale of the ocean site. 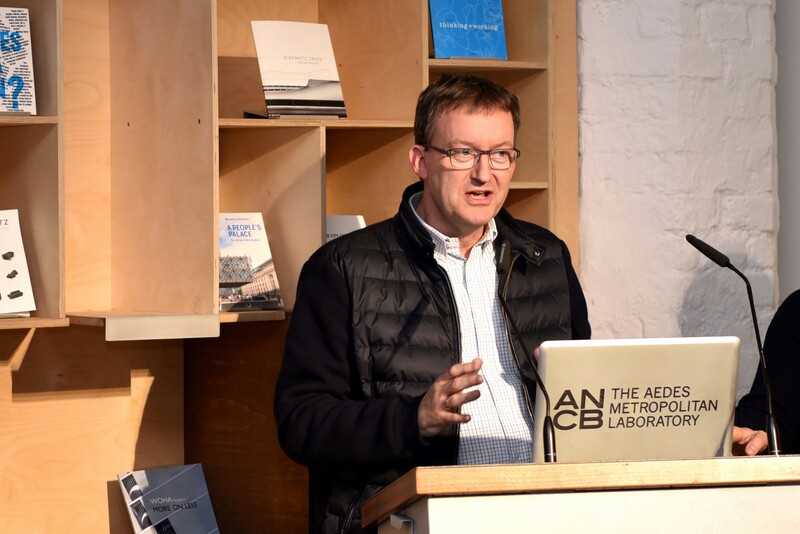 Whereas the infrastructural interventions in Egypt are obvious and visible, maritime infrastructural development can hardly be seen. 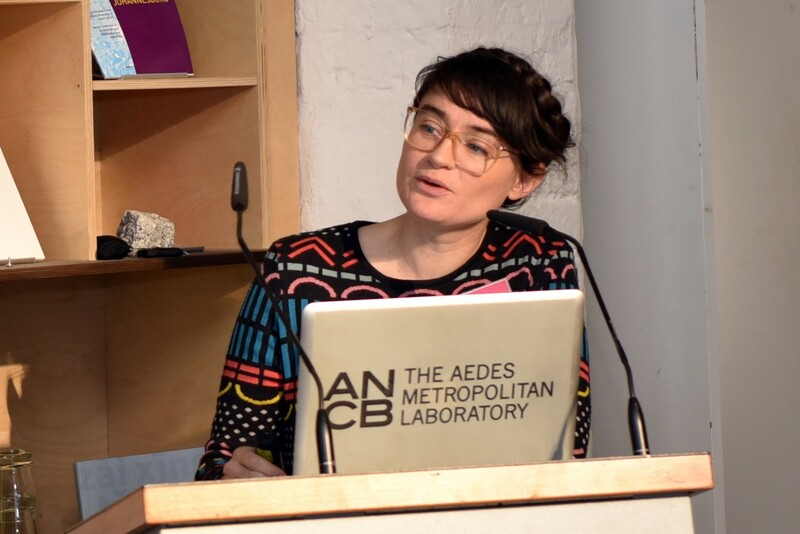 Doctoral Fellow Sarah Nichols led the discussion amongst the architects, talking about their responsibility related to designing infrastructure and the role of architecture as a research tool. 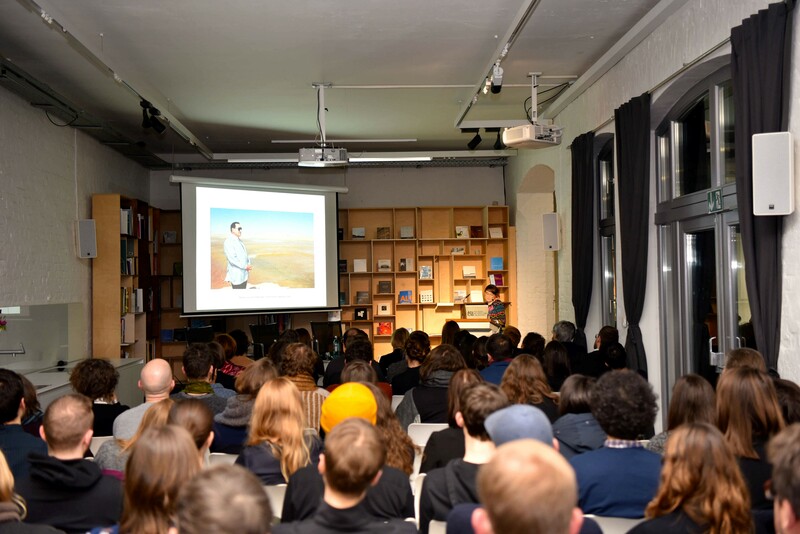 The debate with lively audience participation underlined what Infrastructure Space expresses – infrastructure is not just about the technical realm, but also engages in terms of political, economic, social, and aesthetic matter. 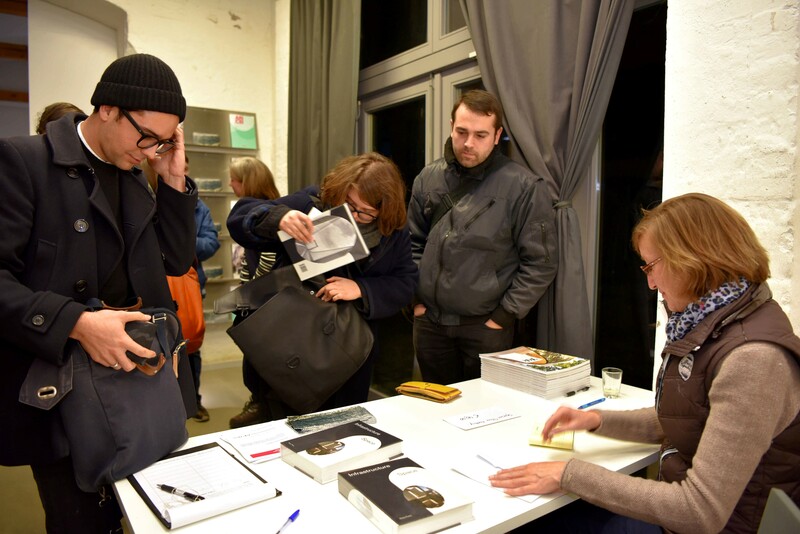 Ilka & Andreas Ruby (eds), with a Visual Atlas by Something Fantastic. 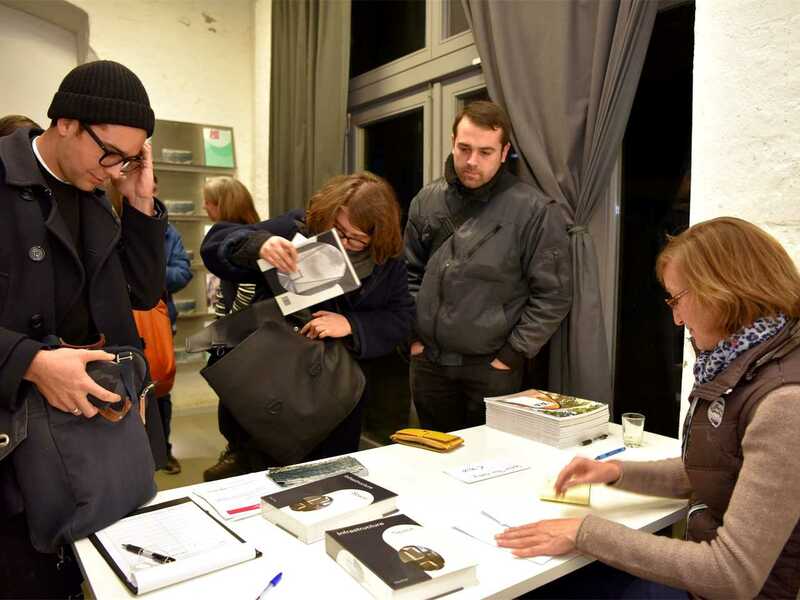 Format: English, 421 pages, 17,5 x 23,5 mm, hard cover, linen.